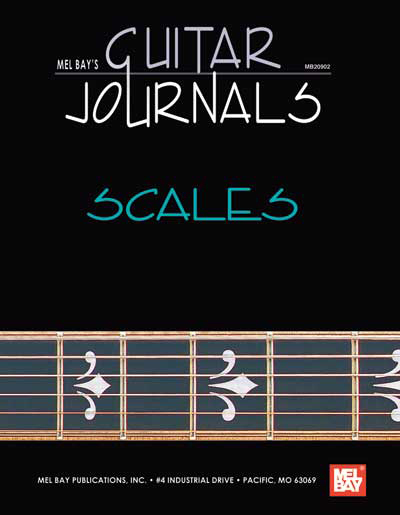 Mel Bay's latest series, Guitar Journals, is the ultimate reference guide of studies and solos in several different genres. This huge collection of scales is perfect for guitarist's everyday use. They are all covered here: major; natural, melodic and harmonic minor; diminished; whole-tone; bebop; blues; altered; pentatonic; Hungarian; Neapolitan; Japanese; Arabian; Balinese; Byzantine; and many, many more. This is a must-have for any guitarist's collection! - Major; natural, melodic and harmonic minor; diminished; whole-tone; bebop; blues; altered; pentatonic; Hungarian; Neapolitan; Japanese; Arabian; Balinese; Byzantine; and many, many more.